To buy, for example, 1 million koins, you need to enter 10k = thousands (10 thousand = 10x100,000 = 1,000,000), etc. IMPORTANT! After payment, send the received code to confirm the payment in the "Correspondence with the seller", or in private messages https://vk.com/boevik39, after which I list you VK Coins. 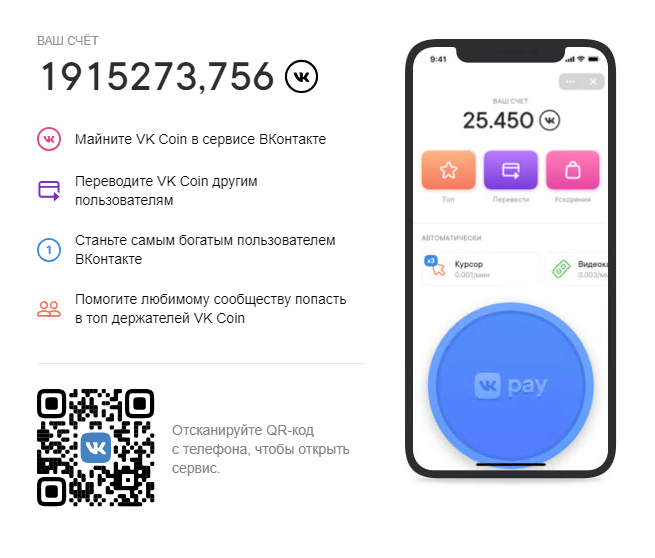 VK Coins delivery can take from several minutes to 12 hours.